I have been in the studio working up a sample for a possible new necklace kit. 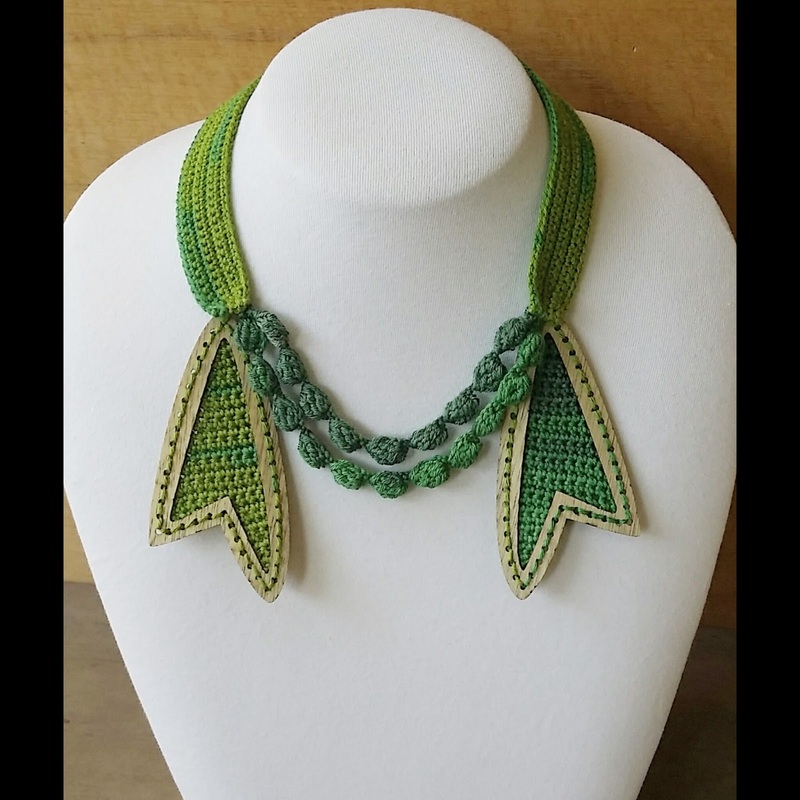 The Nouveau Necklace has been very popular, so I would love to add another necklace kit to the eWoodStory line. In its design phase, I am calling this the Ribbon Necklace, because the ends of the necklace that are framed in exotic wood resemble the way I like to cut the ends of ribbon when I tie bows. The elements of this necklace are simple to crochet, and it is very comfortable to wear. As a little market research, I would love to have some feedback from all of you before I proceed with making it available as a kit. What do you all think, would you like to see this as our next kit? Any constructive comments would be much appreciated! If I go ahead with making it into a kit, it will be available in a variety of different wood and yarn color combinations! Hi Shelby. I think it is lovely, but just wanted to point out that I thought of Star Trek when I saw it. The framed pieces look like the Star Trek emblem that the characters wore on their shirts. Getting Ready for The Knit and Crochet Show!